Nigel’s passion for the circus starts at an early age, already at the age of 6 Nigel started playing and practicing with a youth circus school in Rotterdam, where he discovered circus and its many disciplines. It became clear very fast that Nigel had a talent for juggling. His dream came closer when he was asked to perform in several TV shows. Juggling is my art. Nigel prefers the circus ring. He dedicated himself to the art of tempo juggling at a very young age. In his hometown Schiedam he got a chance to perform with a big international circus. While performing there he got noticed by several circus colleaques and directors. Soon more performances throughout the Netherlands are a fact. Together with his supportive parents he travels through the county and has a chance to gain experience in various great circusses. In 2008 he signed his first contract for the famous Winter Circus Royal, by the Teuteberg family. Successes are following eachother up rapidly. Just two years later he represents the Netherlands at the European Magic Circusshow in Geneva, which was also broadcasted on international television. In 2012 he participates in Holland’s Got Talent and he gains national fame. Nigel is the only solo circus performer to reach the finals. In the beginning of 2015 he performed in ”Benvenuto Cellini”, a new circus production by the National Opera & Ballet, directed by Terry Gilliam. After this production he continued with a sold-out tour of the ”Ashton Brothers”, one of the most famous and leading theatre companies in the Netherlands. At last he finally graduated in 2015 for his study marketing & communications. 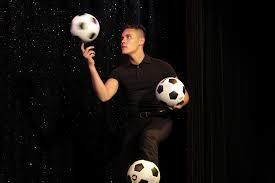 Nigels juggling act is seen best in a “show” setting like in a circus, theatre or variety show. 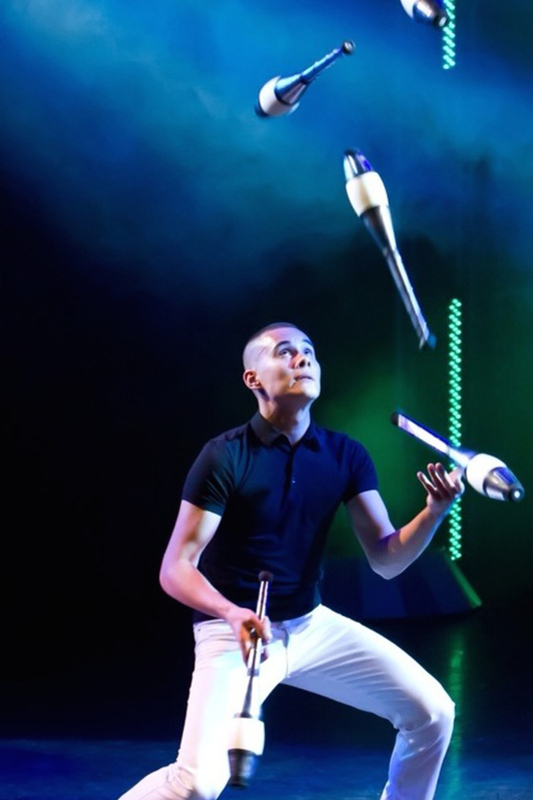 In this performance he will juggle with balls and clubs combined with sumptuous music and choreography. 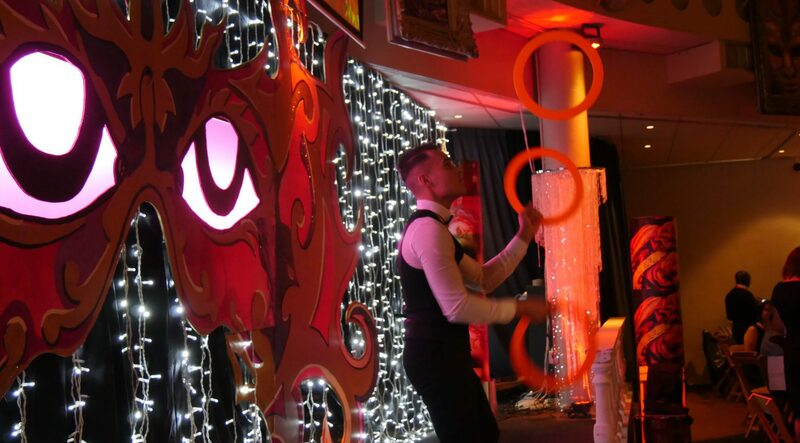 A made-to-measure act suitable for a corporate event. A juggling act tailored to your wishes and demands.  It is certainly a great added value to your opening event, celebrations, congress or corporate events. New offer! This performance is comparable with a live DJ “act”, in his set he will show visual tricks on a highly skilled level specially developed for an audience with a party-vibe. 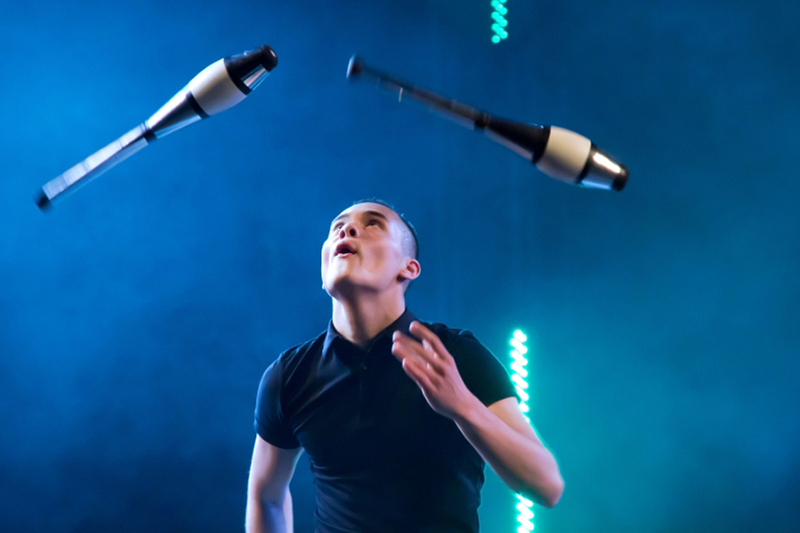 Nigel can juggle for example with LED material. 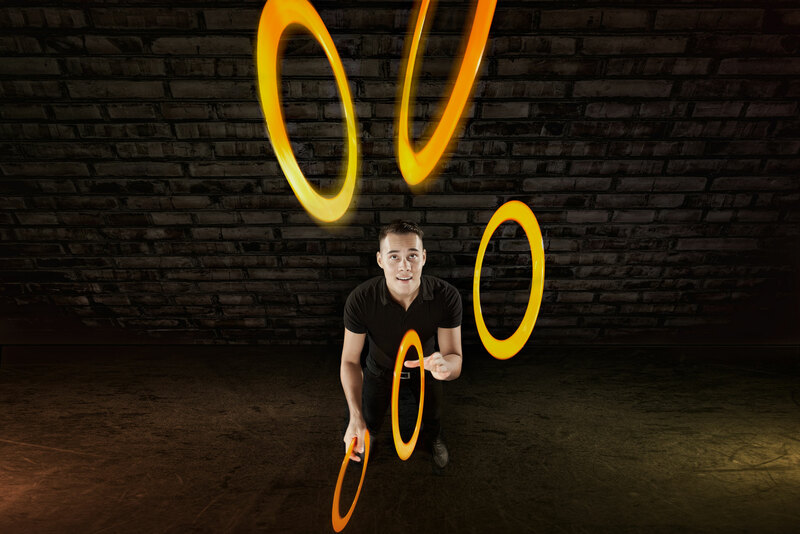 A juggling workshop is the perfect asset to pick for teambuilding or company activity. Beside of the fact that juggling is fun it also stimulates the brain. It enhances the co-operation between the both side of the human brain.